There has been a lot of chatter this week about Instagram banning certain hashtags. 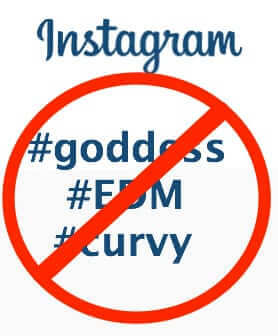 A list of recently banned Instagram hashtags include #EDM, #goddess, and #curvy (EDM, goddess, and curvy, respectively – “EDM” stands for Electronic Dance Music). But why? Here’s why.